Huge star wars snow sculpture! 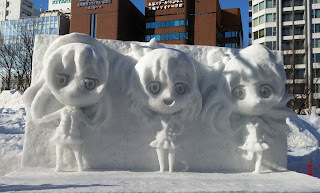 Today we were in Sapporo for the Sapporo Snow Festival! 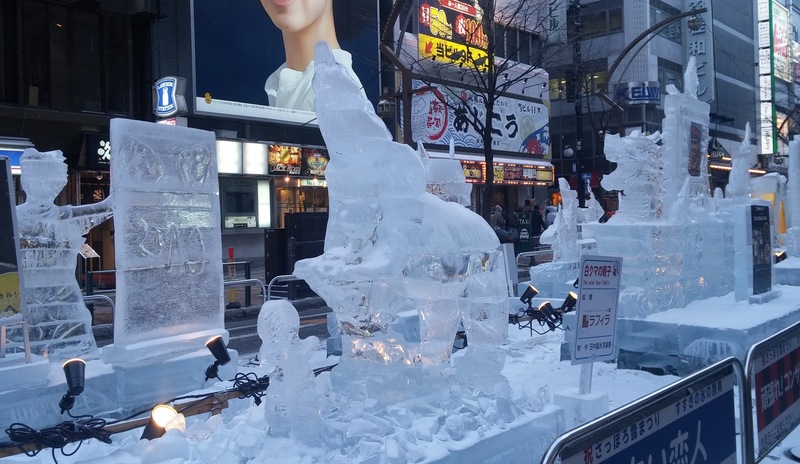 The event is Japan's largest winter festival and takes place every year during a week in February. It first began in the 1950's when school students would build snow sculptures in the main Odori Park but has now grown into a huge event with over two million visitors each year. 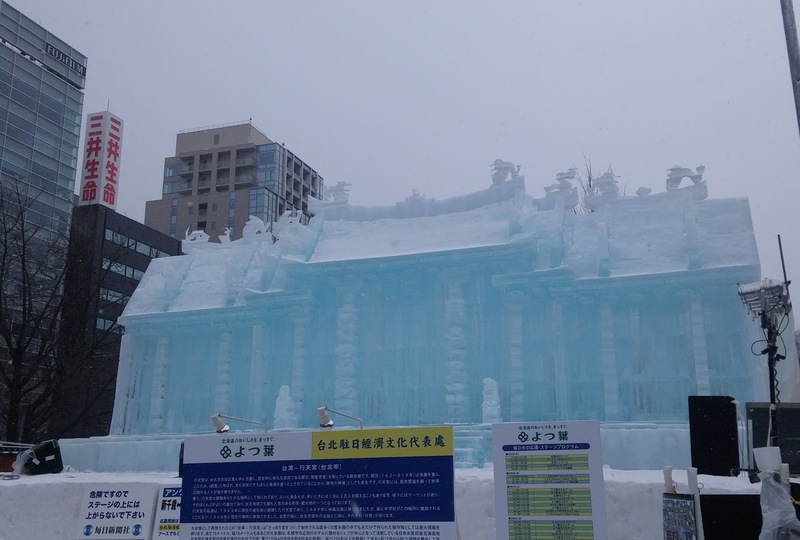 Apart from the stalls and snow sculptures along Odori park, the festival has also spread to ice sculptures in Susukino and family oriented activities and rides around Tsu Dome. 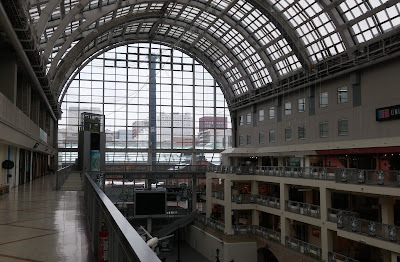 As we thought the festival will be more interesting in the afternoon we decided to have a look at Sapporo Factory first which is a large shopping and entertainment facility located within walking distance of our hotel. 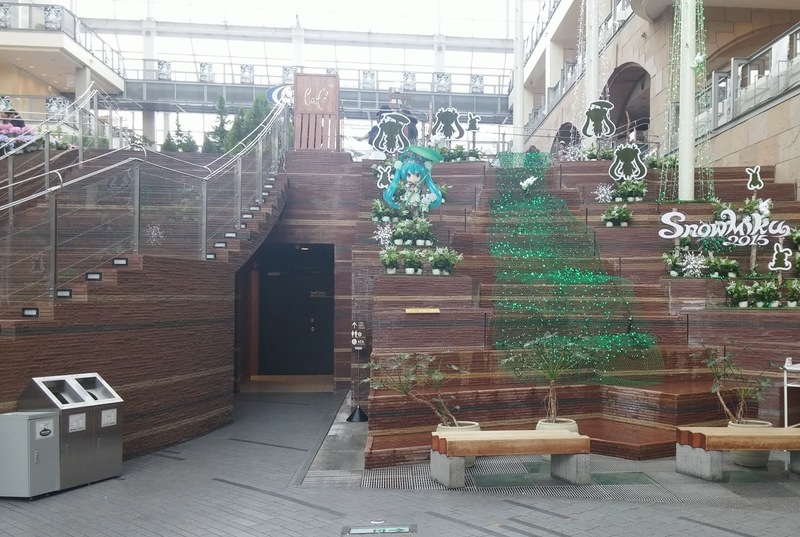 There's around 200 shops here, but most interestingly is that the site is the result of the redevelopment of Japan's first beer brewery. There's a few old red brick buildings around and also some equipment and such which is used to decorate the place. 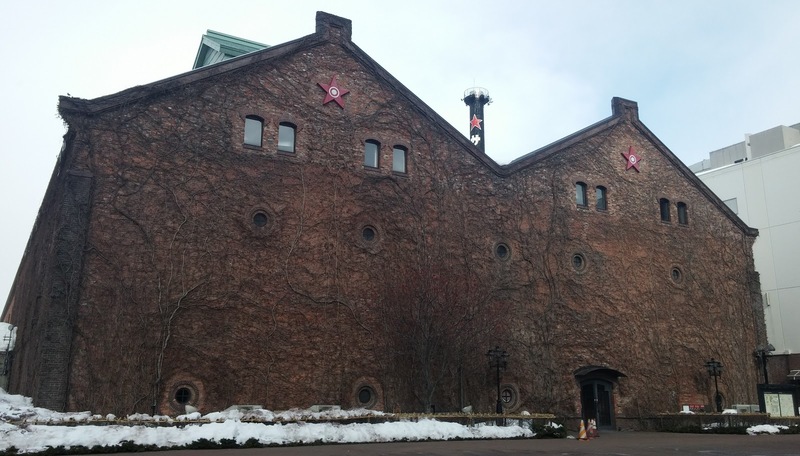 Apparently there's also a functioning brewery on site as well. We had a look around and it was a pretty nice place to explore, especially the atrium area which was a really pleasant open space. On the ground floor there were some eateries where I got a chocolate banana crepe and Kate ate some prawn dumplings. Something I noticed near one of the grocery stores was that there were refrigerated lockers you could use to keep your groceries cool, which was interesting. 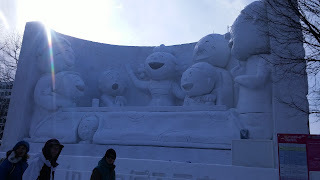 After that we walked down to the Sapporo snow festival at Odori Park! 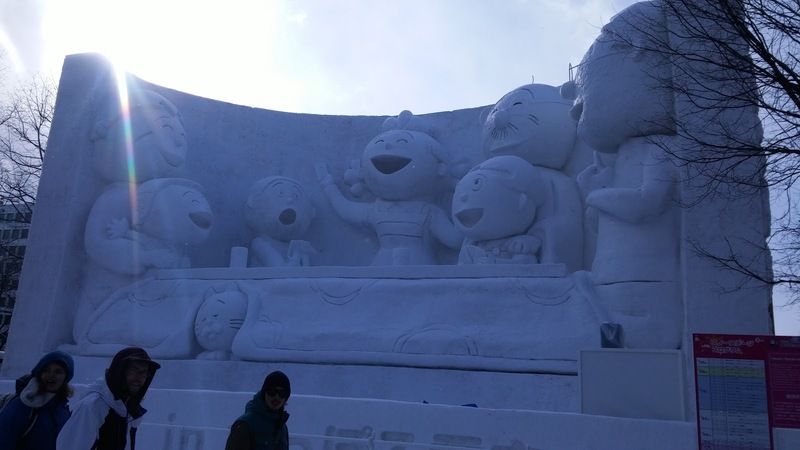 There were lots of huge snow sculptures which featured some real world places such as the Hsing Tian Kong Temple (Taipei, Taiwan), Toy Town (Japan) and Todaiji Temple (Nara). There were also popular culture sculptures such as a huge Star Wars display, as well as Sanzae-san, Girls und Panzer and Love Live. 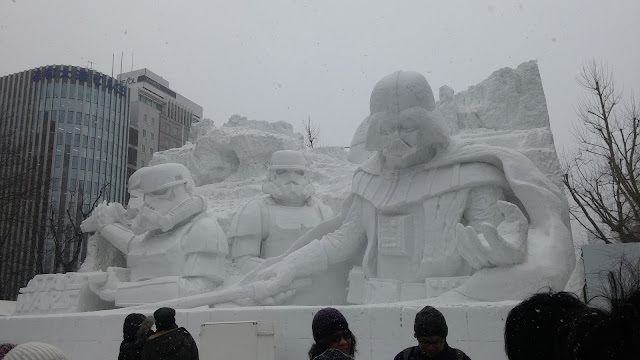 Some of the biggest were over 15 metres high. There were also commercial sculptures, for example Nissin the cup noodle company had a few on display. 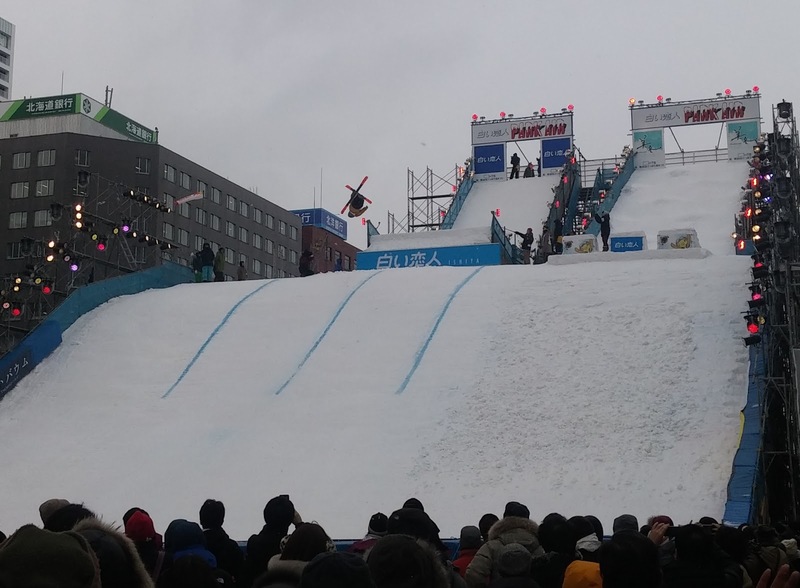 Apart from the sculptures there was also people doing cool tricks on a snow jump ramp. A lot of people actually fell over trying to do their jumps, I think they were having a competition, it was fun to watch at any rate! 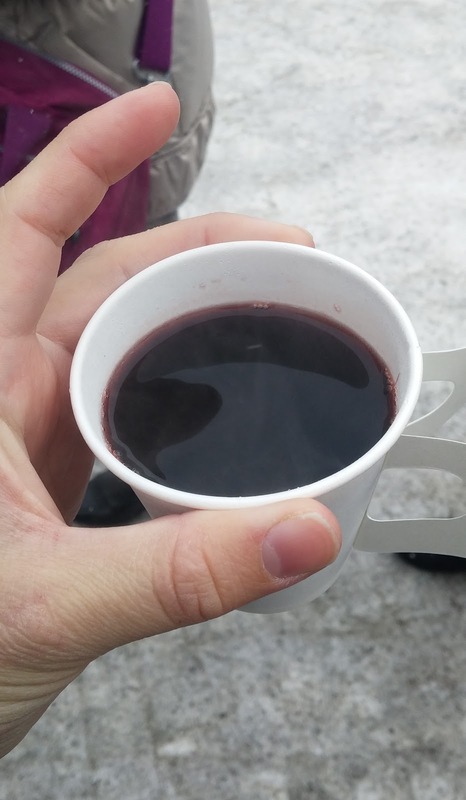 The stalls mainly consisted of various food and drinks and we were tempted into buying some hot red wine which we though would warm us up. Unfortunately it was absolutely disgusting! 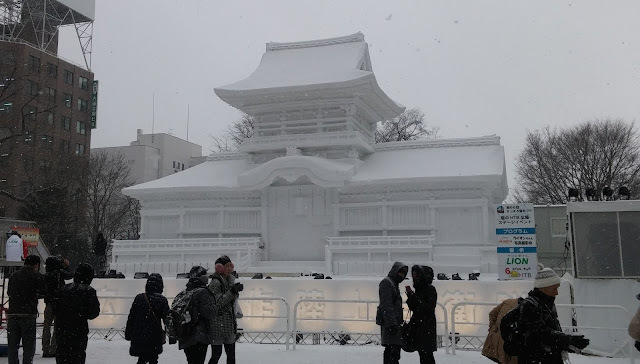 After pouring that out into a drain we instead found some delicious warm nihonshu (sake) which we enjoyed inside a covered stall. 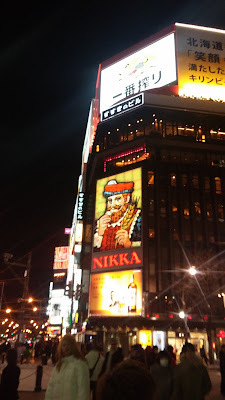 While we were drinking them we also talked to some Japanese girls, though I can't remember what about. Next we went to have a look at the ice sculptures in Susukino, which were cool! For dinner we went to the only yakitori bar in Susukino that had a non-smoking area (though there were also smoking seats). 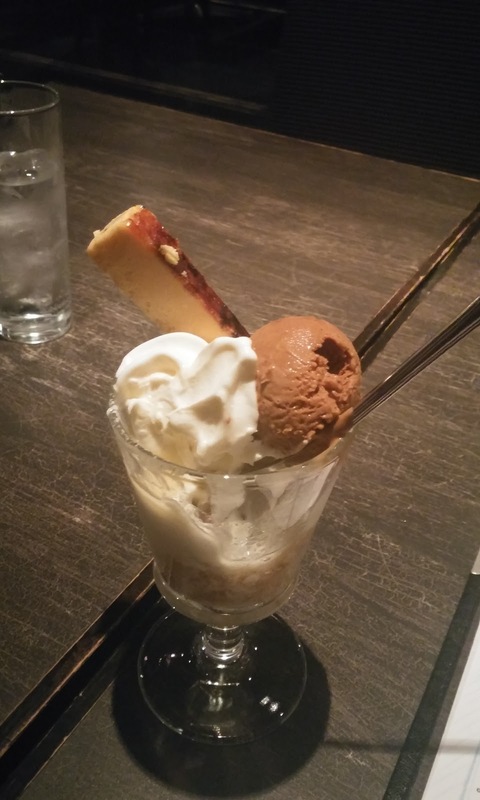 After dinner we had some drinks and a parfait at a casual Italian themed cocktail bar. The cocktails were not too fancy and many were really just mixed drinks, but again it was one of one two places that was non-smoking! Tomorrow we will go Round One Sports Entertainment for more sports and games before travelling out to Otaru to see the Otaru Snow Light Path Festival.